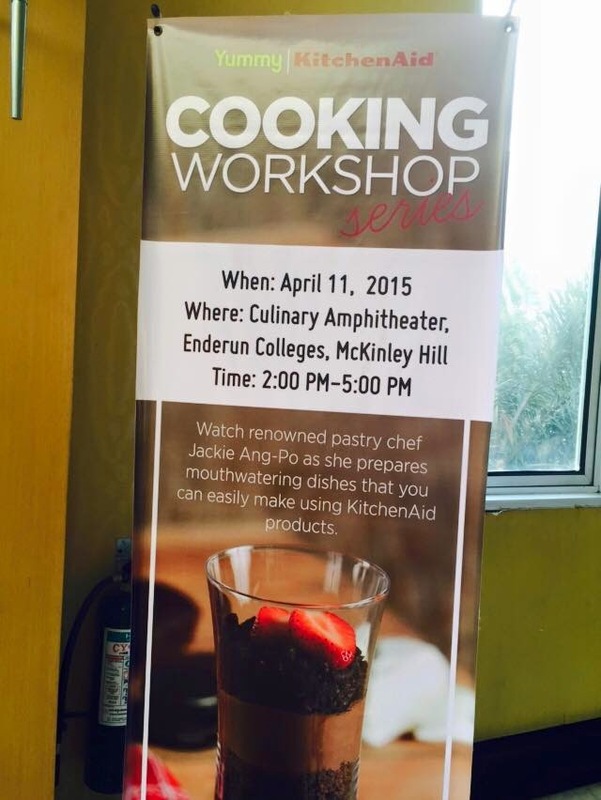 Last April 11, 2015, Yummy Magazine treated its readers to the first series of KitchenAid Cooking Workshop for the year. 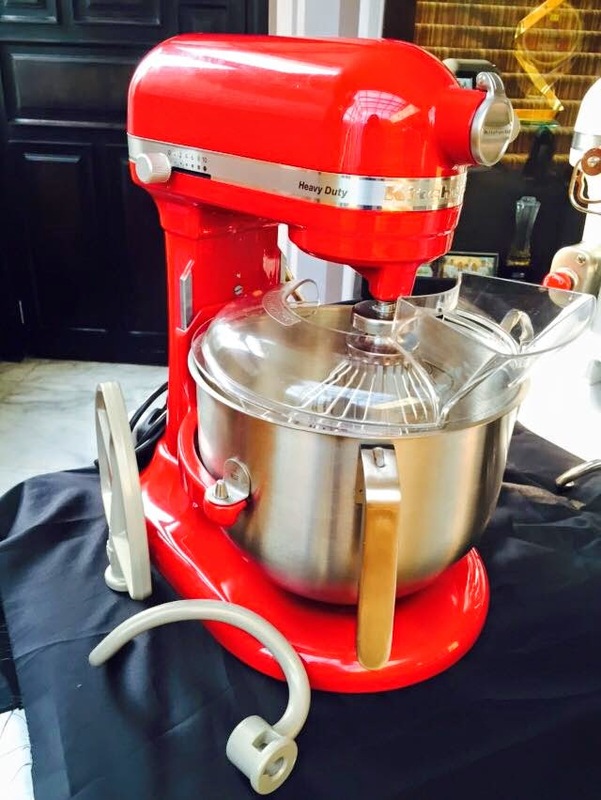 KitchenAid is the maker of high quality kitchen appliances. 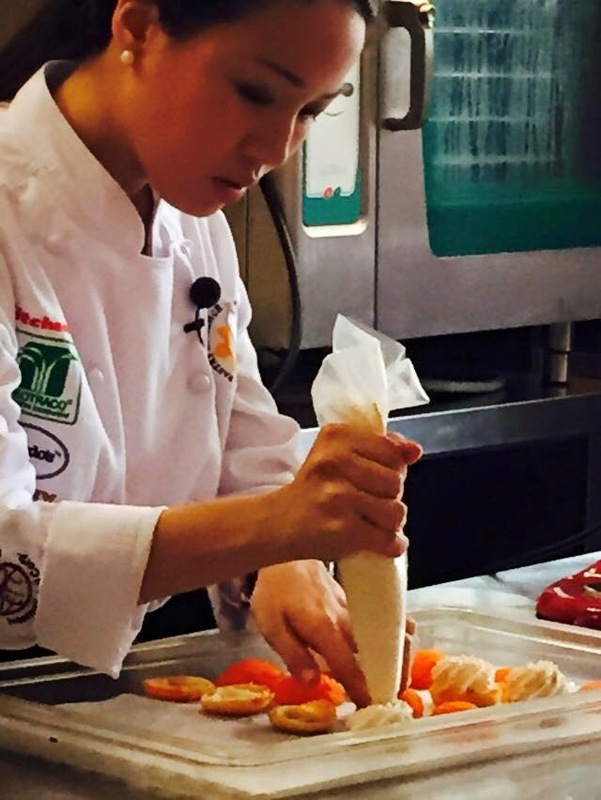 Starting the first leg of the cooking workshop is Chef Jackie Ang-Po, a multi-awarded pastry chef, cooking show TV host and owner of Fleur De Lys Cafe in Quezon City. 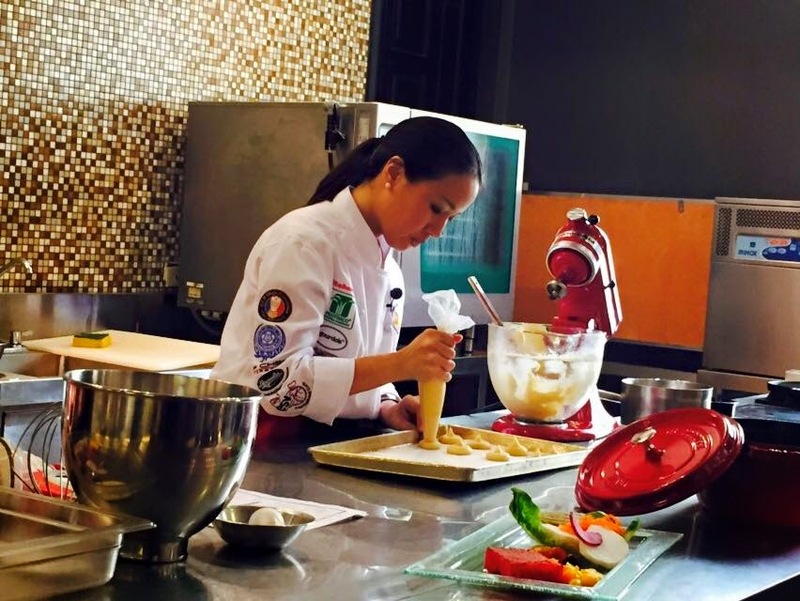 The cooking workshop was held at the prestigious Enderun Colleges in McKinley, BGC, and tons of cooking enthusiasts as well as foodies all came to see Chef Jackie in action. Registration of the workshop is free but its a first come first serve basis as the venue cannot accommodate so much. However, there's still two more cooking workshops lined up before 2015 ends so others can still have the chance to join. 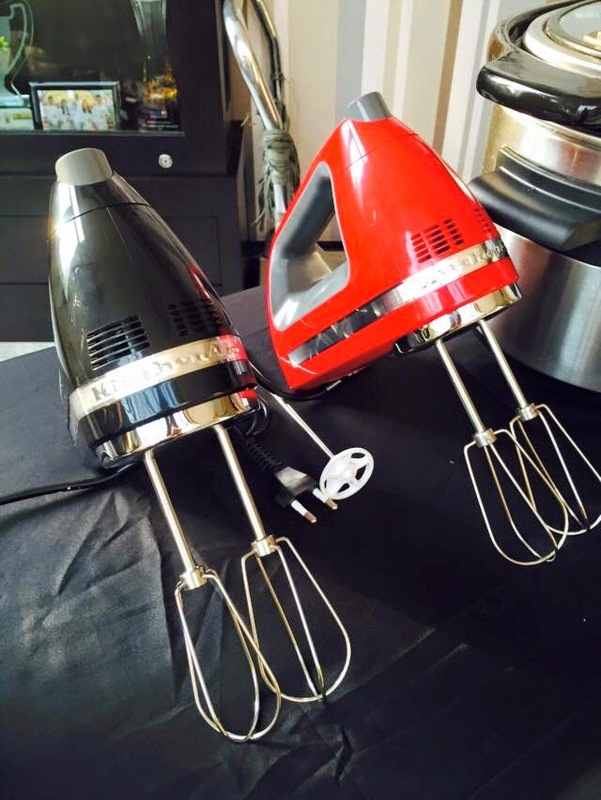 KitchenAid is a brand synonymous with high quality kitchen appliances such as the popular tilt-head stand mixers that comes in cute colors. You can visit this link for more KitchenAid kitchen appliances. 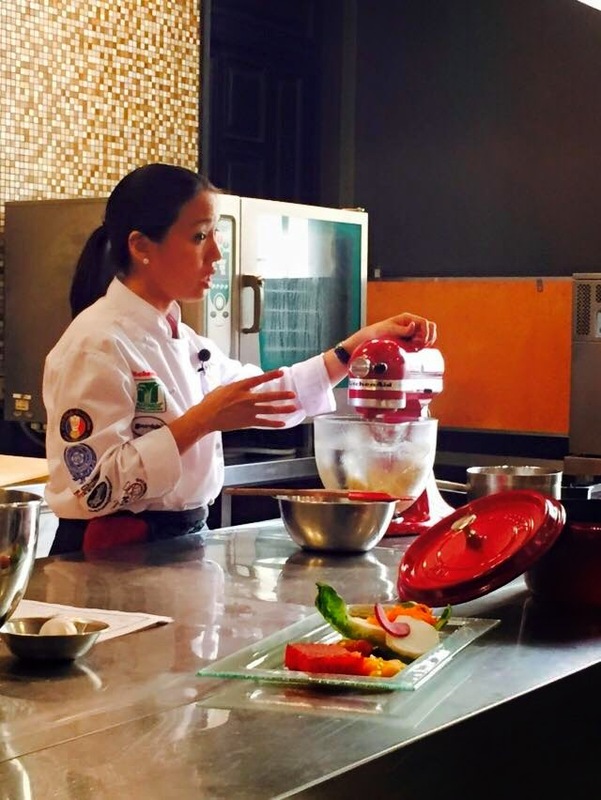 Using different KitchenAid products, Chef Jackie created three mouthwatering dishes for the participants. 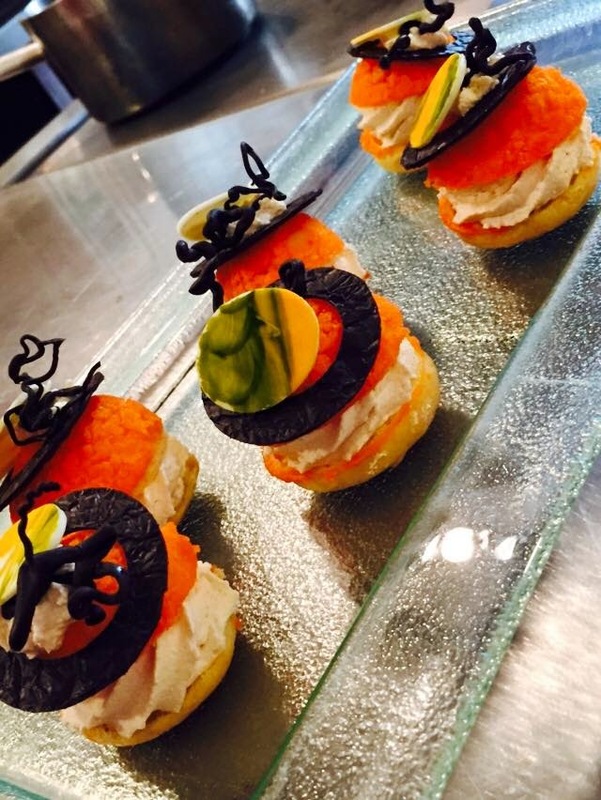 She made everything look easy, that even a non-professional cook can follow. Of course, thanks for KitchenAid for being generous with the products. Some participant were also paired with food bloggers and each pair got the chance to create their own recipe of Triple Chocolate Parfait. A lucky participant also won a KitchenAid hand mixer which was raffled off. 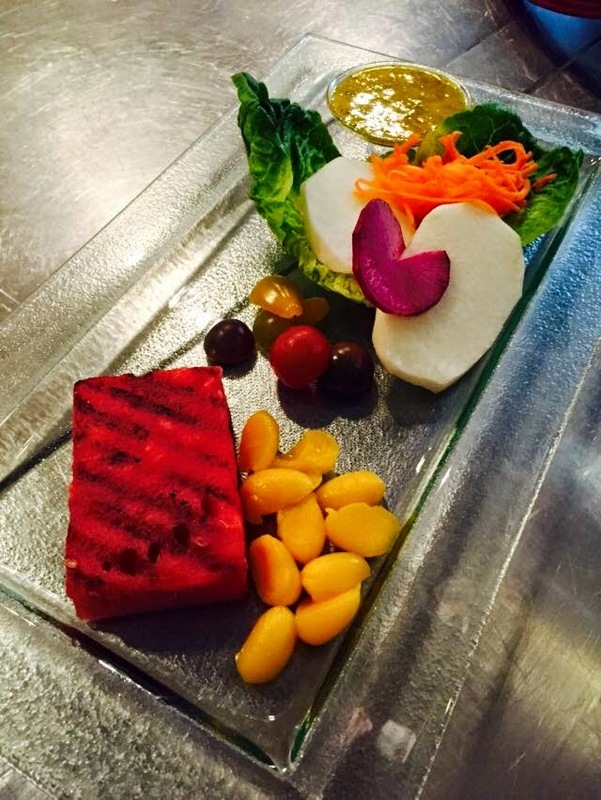 Grilled Watermelon and Mango Jicama Salad with Mango Vinaigrette. 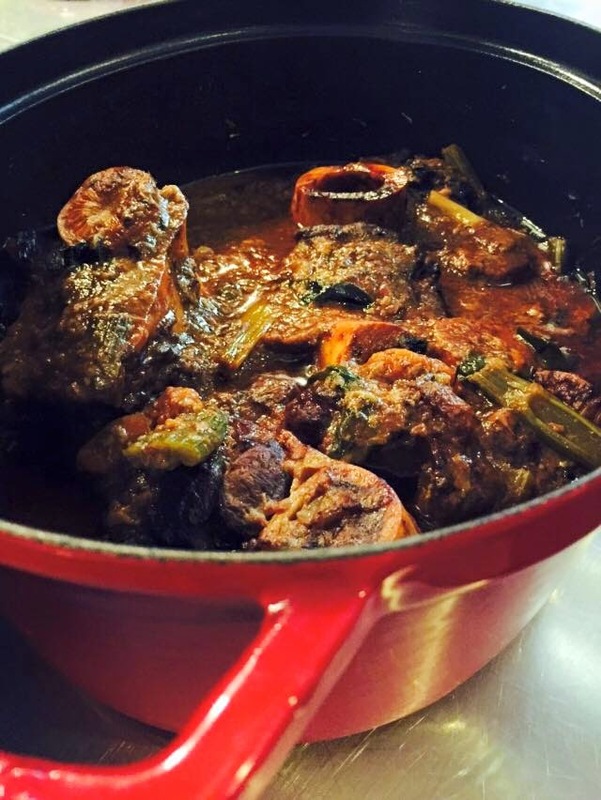 Please go to this link for Chef Jackie Ang-Po's recipes.